In the Greater Cairo neighborhood of Kattameya, lie the building blocks of what will soon become the largest residential building in the world. Spanning an area of about 200,000 m2, this development is the brainchild of the acclaimed real estate developer Memaar Almorshedy, who has banded together with world-renowned real estate developer Hadid Design & Development Group to bring about this project to life. eniGma’s Farida El Sayed sat down with Mohamed Hadid and Hassan Almorshedy to find out more about this exciting new venture. According to Hadid, he was already well acquainted with the Morshedy family long before any mutual business was in the works. “I personally have socially met Hassan Morshedy (CEO of Memaar Almorshedy), and was inspired by the family long before we started talking about doing a few things together,” says Hadid, adding, “Having worked together briefly before, I am very familiar with their style and their passion towards Egypt.” The underlying mutual respect and understanding the two real estate giants have for one another is very evident in their reverential and friendly rapport. The project’s astonishing amenities sets it apart from current real estate developments in Egypt. It will include the largest infinity pool of its kind, breaking a world record. The pool will be built on the Skyline’s rooftop, giving residents lounging in and around the pool a remarkable view of the city, taking the definition of skyline to new heights, quite literally. “You don’t have to worry about crowds, because Skyline is huge; it can house lots of people,” says Hassan Morshedy. Clearly, according to the developers, that will be a defining feature of the Skyline. In addition, Morshedy goes on to explain that the rooftops of all the buildings in the development will be covered in greenery, giving them the true feeling of a city park. On these roof top parks, residents will be able to enjoy diverse cycling trails and exciting jogging tracks, as well as other exciting activities like rock climbing and ice skating. 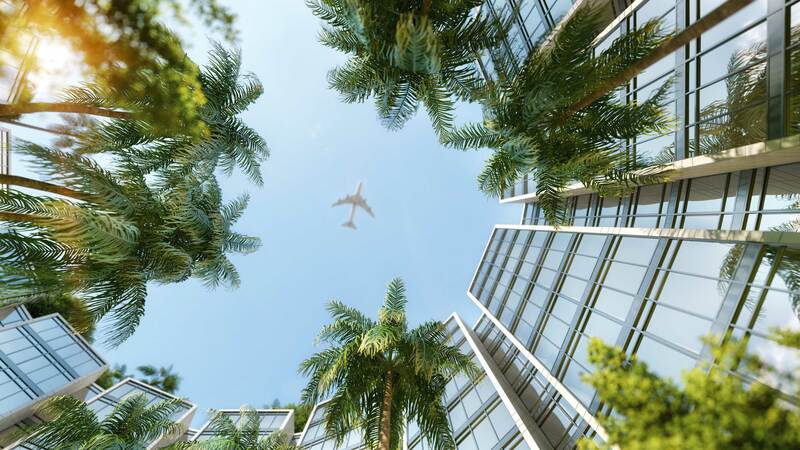 Residents will also be able to walk to the IMAX cinema on location and casually stroll through various stunning courtyards to their favourite restaurant or café, all without going through the hassle of Cairo’s traffic. Hadid and Morshedy are determined to make this a luxurious development, without limiting it solely to the elite classes. “We will make sure that the everyday working person will have the opportunity to buy into this development,” Hadid continues. “It will be available and affordable for the working class by including certain discounts for employee housing,” he adds. In addition, Morshedy believes the project is ideal for Egyptians who live in the surrounding region in countries like the UAE, Kuwait and Qatar, “Many of these Egyptians would prefer to have a small apartment rather than a mansion that will remain vacant for long periods of time. It’s a new concept that hasn’t been done before in Egypt. If you’re an Egyptian living abroad, you don’t need a huge space; you can just get a 60m2 or an 80 m2 apartment,”he explains. Hadid adds, “In countries around the region, most apartments remain empty; people buy them and leave them vacant. We want to make sure that our development provides real value, and is a place where real Egyptians can live and work and use the facilities available to them. Having facilities, like food centers, malls, gardens and so on, is to have people enjoy them and to make the development sustainable. Residents can actually come home, eat and drink there, walk their kids, and it’s safe. 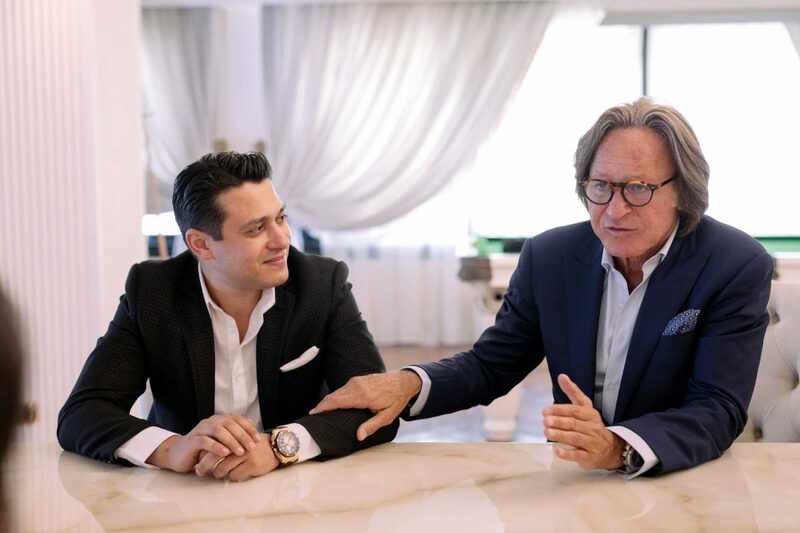 It will be one of the safest city centres in the world.” Hadid’s extensive background in hotel, residential and commercial developments, as well as small city planning ventures, will ensure that people will want to live in this amazing development, and that it will be superbly maintained and guarded. According to Hadid and Morshedy, the first batch of residential units will be delivered in two and a half years. Overall, the units will house 30,000 – 40,000 people, and will be built in stages. “Because of the size of the project and since it will incorporate all these elements and create a small city within a city, we must emphasise the ability to manage the traffic and to maintain the gardens for years to come. So, all these things had to be properly put together and developed in a systematic timeline,” Hadid explains. “One section will be built first, followed by the second, the third and fourth sections. Because it’s such a large project we had to think diligently about how we are going to coordinate its various elements to make it comfortable for its neighbours, as well as for the people living in it; and we have to keep our focus on the fact that it is residential. It’s not just a shopping arcade or food court,” explains Morshedy. 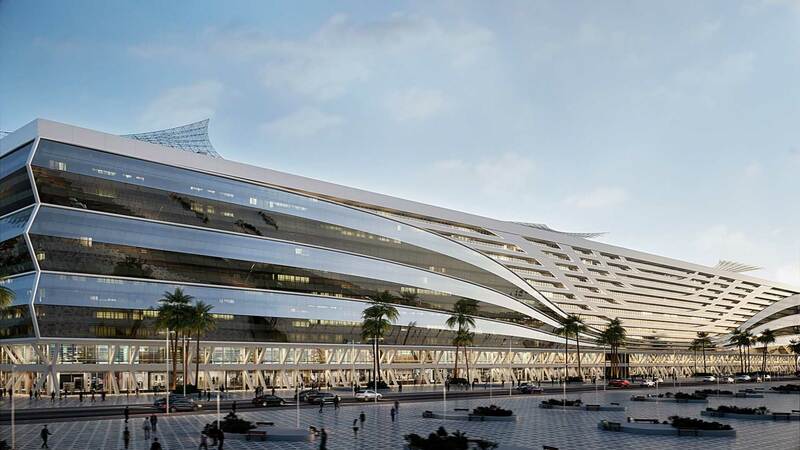 Incorporating that ‘human touch’ as Hadid calls it, is integral to the development’s success and growth. The project has already added value to the area and energised investors, as can be seen by the fact that land plots to the right and left of the development have already been sold.